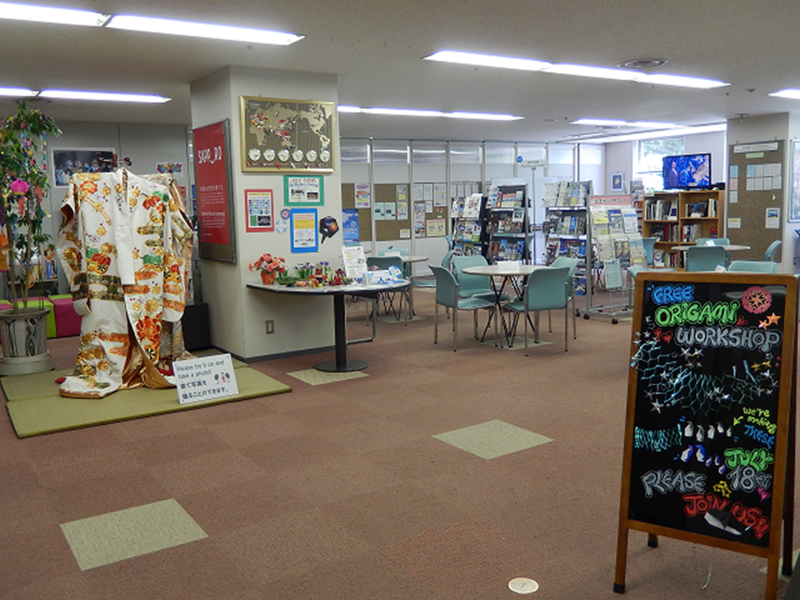 The Communication Salon is a space for Japanese citizens and foreign citizens casually get-together and interact. The Salon is free for use anytime during opening hours. 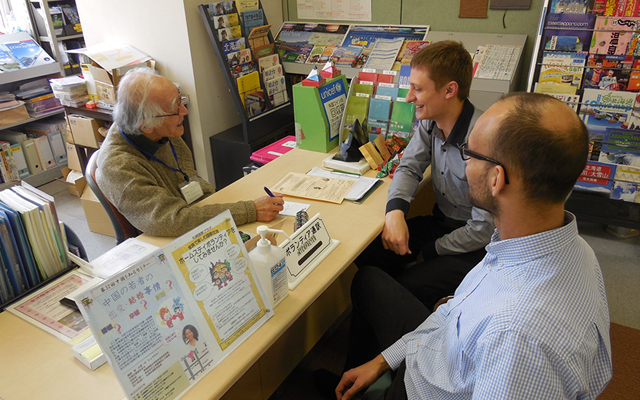 English-speaking staff and foreign language volunteers provide information on tourism in Hokkaido, international exchange, and daily life for foreigners. We also provide information on topics such as medical care, daily life, and Japanese study, and introduce specialized contacts so that foreigners can live more comfortably. Please come to the Information Counter at any time. Information and consultations are all free. Information on interpreters and translation companies in the city etc. * You can join or change your status with the Youth Hostel Association here at the Information Counter. However, we do not issue membership cards that act as credit cards, or make reservations for accommodation on your behalf. 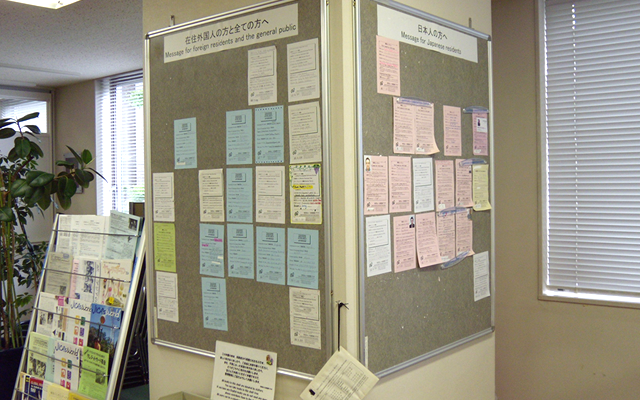 This bulletin board is used for exchanging information on cross-cultural exchange. For example, you can post messages such as wanting a partner for language exchange lessons, wanting to sell unused items, and so on. We have set out various informational materials useful for foreign citizens, international students, and foreign tourists. We provide various pamphlets in foreign languages and distribute periodicals (free). You can browse international exchange materials, overseas books and more including magazines, newspapers (Japan Times, People's Daily etc. ), sister city related books, study abroad/working holiday information, volunteer information, Ministry of Foreign Affairs information, and international cooperation materials (materials related to developing countries, NGOs, and NPOs). 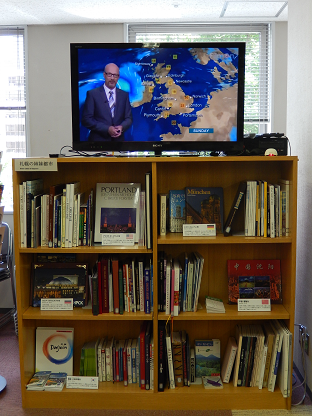 You can see news such as BBC World and NHK World. 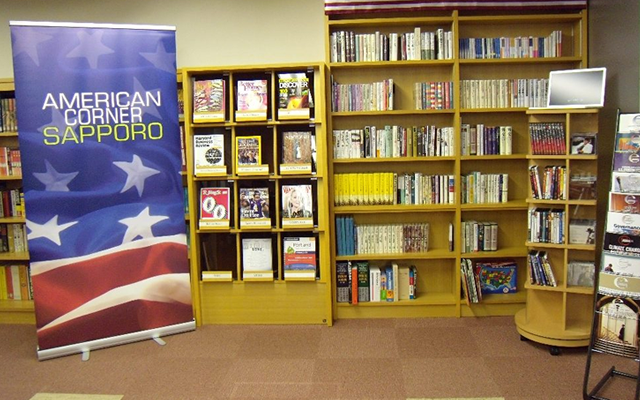 American Corner Sapporo has approximately 300 Japanese books on the United States, 10 English titles, about 50 DVDs, and about 60 CDs. They can be used freely in the salon. ※ We do not lend out these materials. American Corner Sapporo is a partnership project between the Sapporo American Center in the U.S. Consulate General in Sapporo and SICPF. American Corners are established in about 400 locations around the world as a partnership project between the U.S. government's overseas diplomatic missions and their locations. Through information and materials such as publications, multimedia, and the Internet provided by overseas diplomatic establishments of the US government, local people provide opportunities to promote understanding of American history, culture and values. We also use these information and materials to conduct small discussion meetings, lecture meetings, film screenings, etc., and aim to strengthen the connection between local people and the United States. 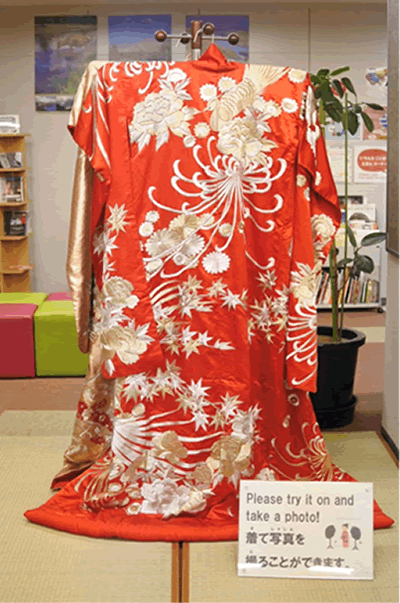 You can try on an uchikake-style kimono (formal kimono worn by brides) and take a commemorative photo, and have hands-on experiences with Japanese culture such as Kendama and Otedama (traditional bean bag toss game). You can see their floral artworks on a weekly basis at the salon and view the flowers by season on this blog. ©2014 Sapporo International Communication Plaza Foundation.All Rights Reserved.